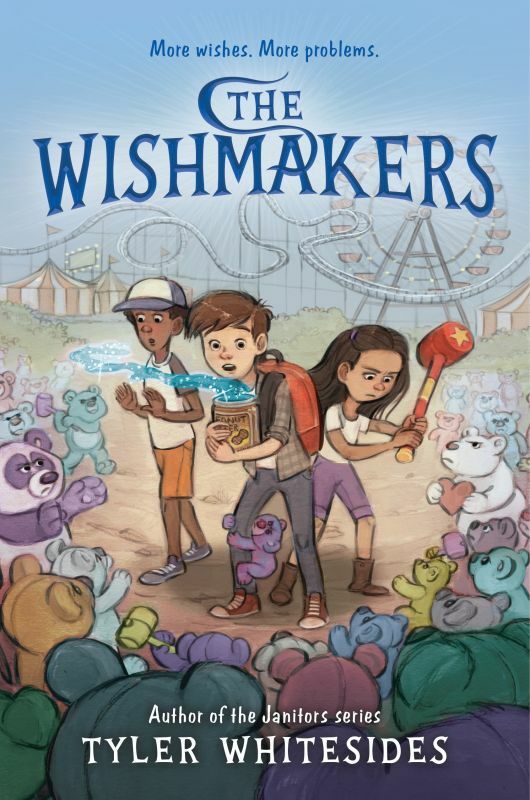 We're celebrating the release of two incredible new books today - THE TRAITOR'S GAME by Jennifer A. Nielsen and THE WISHMAKERS by Tyler Whitesides! R IS FOR REBEL is available today! J. Anderson Coats' R IS FOR REBEL is out in the world today and we couldn't be more thrilled! Congratulations and happy book birthday, J! So excited about this announcement! A long-awaited sequel to FEATHERS: NOT JUST FOR FLYING, we're so ready for Melissa and Sarah's next collaboration. Melissa's beautiful, expositional text coupled with Sarah's gorgeous illustrations will be on wishlists of teachers and librarians for many years to come. Kids will be just as enamored with this book as they were with the first one. Melissa Stewart's SEASHELLS: More than a Home, with illustrations by Sarah Brannen, detailing the surprising ways mollusks use their shells for purposes other than shelter, to Julie Bliven at Charlesbridge, for publication in Spring 2019, by Tricia Lawrence at Erin Murphy Literary Agency for the author, and Steven Chudney of The Chudney Agency for the illustrator (World). We've got a super-fun announcement for Terry Pierce! Terry Pierce's JACK AND JILL AND T-BALL BILL, a sequel to Martha Weston's JACK AND JILL AND BIG DOG BILL, with the participation of Weston's estate, which will share in the proceeds; illustrator Sue DiCicco illustrating in the style of Weston, to Heidi Kilgrasat Random House Children's, for publication in Spring 2019, by Tricia Lawrence at Erin Murphy Literary Agency for the author (world). We're delighted to celebrate this fabulous deal news for Alice Faye Duncan, whose poetry has enlivened the life story of our beloved Gwendolyn Brooks. Alice Faye's poetry sings with resonance and true affection as she shares with a young audience the power of Gwendolyn's own beautiful words. This one is going to be a treasure for so many young families who yearn to discover the power of Brooks' writing for a new generation. Christina Pulles at Sterling has bought world rights to author Alice Faye Duncan's (l.) A Song for Gwendolyn Brooks, a picture book biography of the Pulitzer Prize-winning poet, told through Duncan's poetry. Xia Gordon will illustrate; publication is scheduled for fall 2018. Tricia Lawrence at Erin Murphy Literary Agency represented the author, and the illustrator represented herself. Congratulations, Alice Faye! We're so excited about this one! Another Groundbreaking Verse Novel from KA Holt! When I was typing the above title just now, I accidentally typed Kari's last name as "Hot" instead of "Holt" – which in a way is totally accurate, since the K.A. Holt fleet of books are Hot Reads by any reader's measurement. Taylor Norman at Chronicle has acquired acclaimed author K. A. Holt's newest middle-grade novel in verse, KATE AND TAM. Set within the same world as HOUSE ARREST and KNOCKOUT, it tells the story of two girls who are polar opposites yet become fast friends, and then begin moving toward something more. Publication is scheduled for Fall 2019. Lucky readers we, and congrats, Kari! !